OMAHA, Neb. 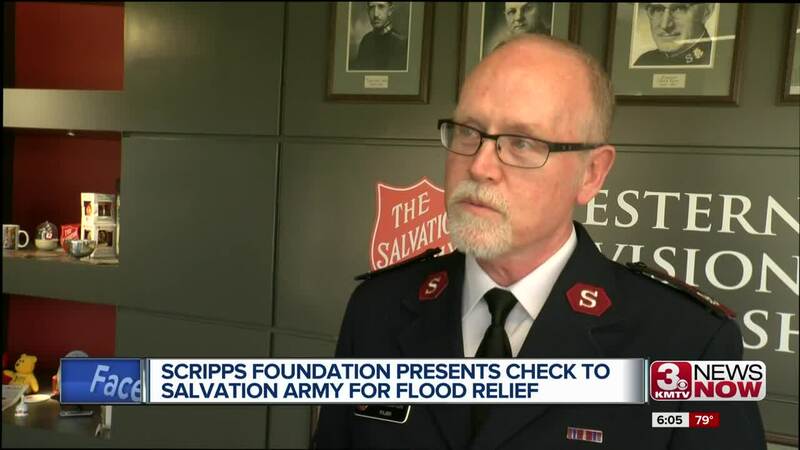 (KMTV) — KMTV Vice President/General Manager Larry Forsgren joined morning meteorologist Mark Stitz in presenting the Salvation Army with a $5,000 check from the Scripps Howard Foundation to help with Nebraska and Iowa flood relief efforts. The Salvation Army says the money will be used for long-term recovery, including purchasing supplies for flood victims, providing grants and helping out in Hamburg, Iowa--where meals are still being served because some of the town remains under water. This donation is part of KMTV's ongoing 3 Million Dollar Community Commitment campaign.